Exposure to early risks are linked with less optimal child development across domains. These contextual risks may display various configurations and each configuration could be linked to specific developmental outcomes. Based on 1364 mother–child dyads from the NICHD Study of Early Child Care, this study examined the different risk profiles children experienced in early development and how changes in these profiles over time predicted a wide range in their school adjustment. 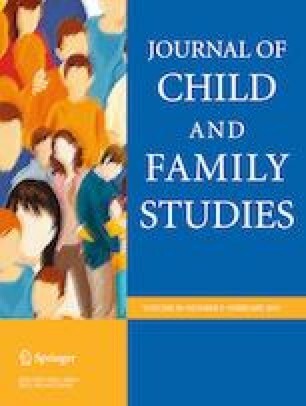 Using latent class analysis (LCA), we found that children’s contextual risks could be characterized by one of the five risk typologies at each assessment from 6-months to first grade: low risk, high socio-cultural risk, high psychological risk, high socio-economic risk, and high risk across domains. Moreover, these risk profiles they experienced were fairly stable over time: children rarely moved in or out of certain risk classes from infancy through middle childhood. As a function of these risk typologies they experienced across time, children demonstrated different levels of academic and socio-emotional adjustment in first grade. These findings link configurations of risks children experience across infancy and early childhood to their first-grade adjustment observed by multiple informants. The author acknowledges the support of grants from the National Natural Science Foundation of China for Young Scholar (31500904, PI: N.Y.), the Eunice Kennedy Shriver National Institute of Child Health and Human Development (R24 HD42849, PI: Mark Hayward; T32 HD007081-35, PI: Kelly Raley), and the Institute of Education Sciences, U.S. Department of Education (R305B130013, University of Virginia). N.Y.: designed the study, assisted with the data analyses, and wrote the paper. A.A.: collaborated with the design and writing of the study. K.S. : analyzed the data and wrote the results. N.Z. : collaborated with the design and analysis of the data. This study was approved by the Institutional Review Board of Southwest University. This study analyzed secondary dataset from NICHD SECCYD. All data collection was approved by the appropriate institutional review boards for each of 10 U.S. study sites in the NICHD-SECCYD, and written informed consent was received from each family. Achenbach, T. M., & Edelbrock, C. S. (1986). Manual for the teacher’s report form and teacher version of the child behavior profile. http://www.getcited.org/pub/102474441. Najman, Jake, M., Williams, G. M., Nikles, J., Spence, S., William, B., O'Callaghan, M., Brocque, R. L., Andersen, M. J., & Shuttlewood, G. J. (2001). Bias influencing maternal reports of child behaviour and emotional state. Social psychiatry and psychiatric epidemiology, 36(4), 186–194. ​https://doi.org/10.1007/s001270170062.